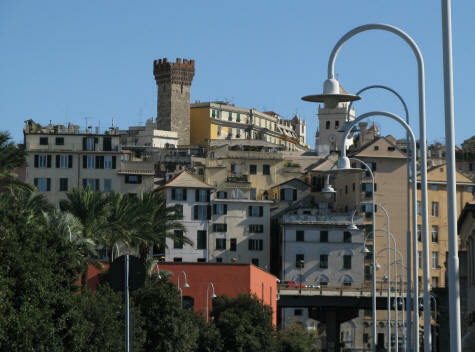 The international airport in Genoa Italy is called the Genoa Cristoforo Colombo Airport. It is located approximately 7 km west of the city. Frequent flights operate between Genoa and Rome, Naples, Paris, London, Madrid and Munich.